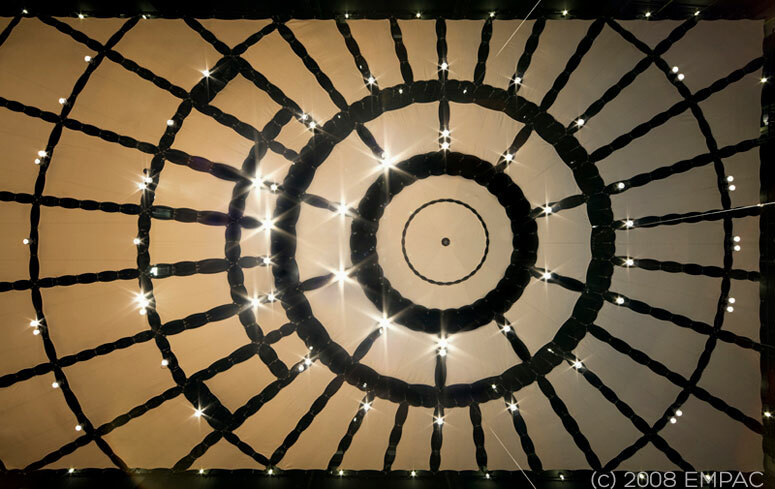 This fascinating ceiling, made from fabric, can be found at the EMPAC—The Curtis R. Priem Experimental Media and Performing Arts Center (designed by Grimshaw Architects) at Rensselaer Polytechnic Institute in Troy, NY. I love the symmetry with a bit of asymmetry off to the left. And the rectangular beige material stands out especially as the black upper ceiling creates the outline of the mandala design. The building includes many firsts and exceptional attributes in the fields of acoustics, structural integrity, theatrical presentation, and digital media. High-bandwidth computer, audio and video networks create a technical infrastructure unlike any other performing arts centers. And, when linked to Rensselaer’s CCNI supercomputer, our superb venues provide opportunities for research that surpass those of most other media research centers. 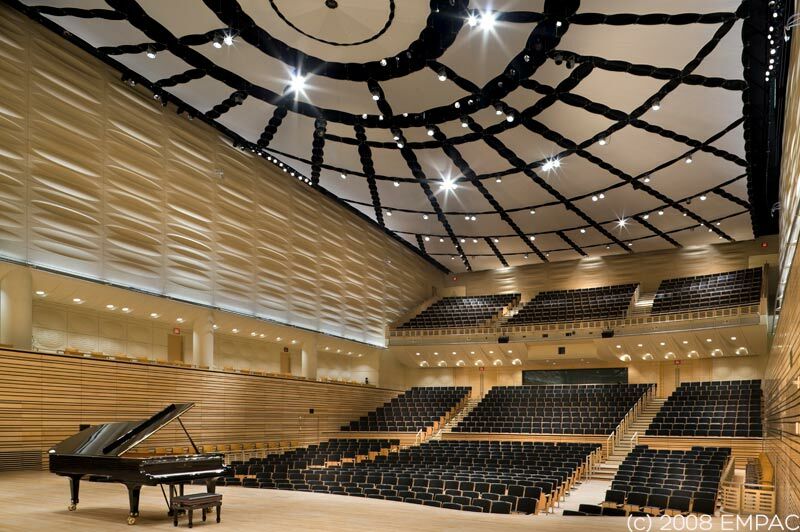 We often hear how difficult it can be to put a square peg in a round hole, with EMPAC’s photo we see where rectangular shapes can be used to make a round design within an outer rectangular structure. For today’s inspiration, where in our lives can we re-think an angular layout and turn it into a circular design. Off the top of my head I’m thinking having a round garden might be a good start.